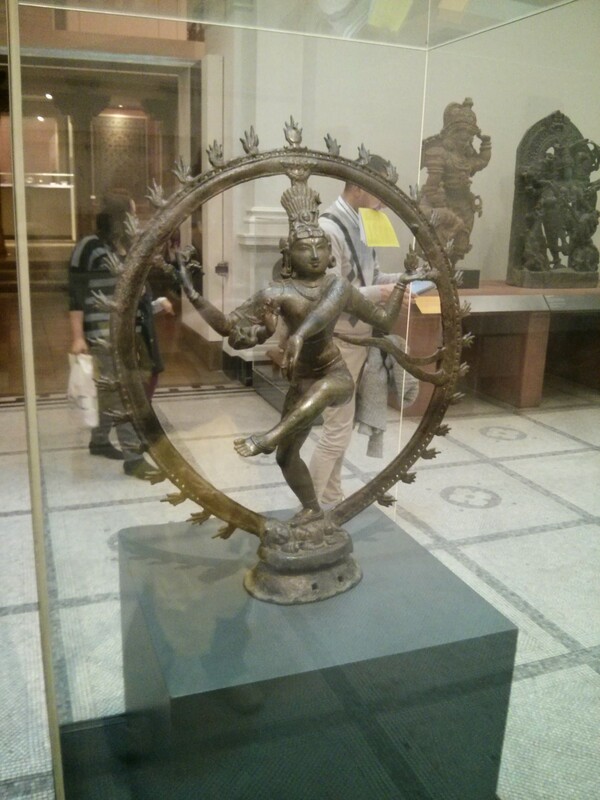 Here is the large Nataraja. 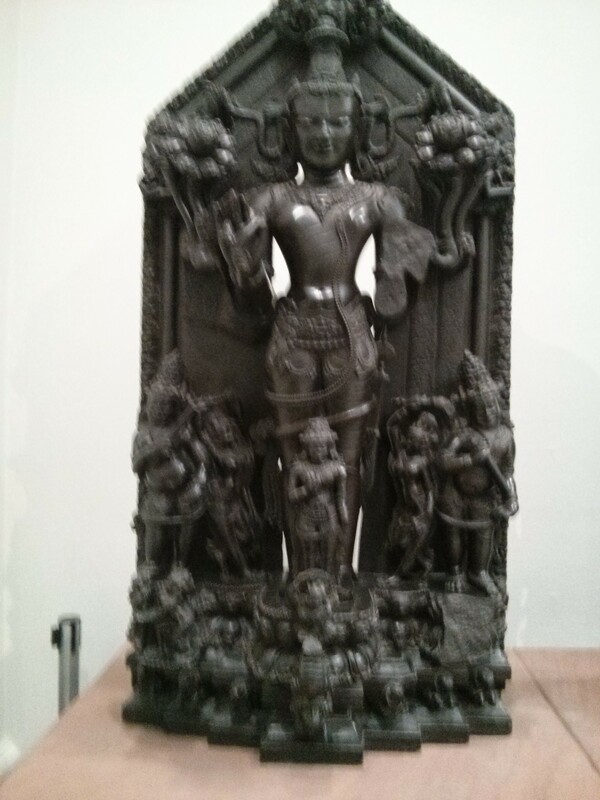 This 12th century bronze murti is from Tamil Nadu. The inscription says that it is “Reportedly found in Tinnevelly District, South India” [emphasis mine]. 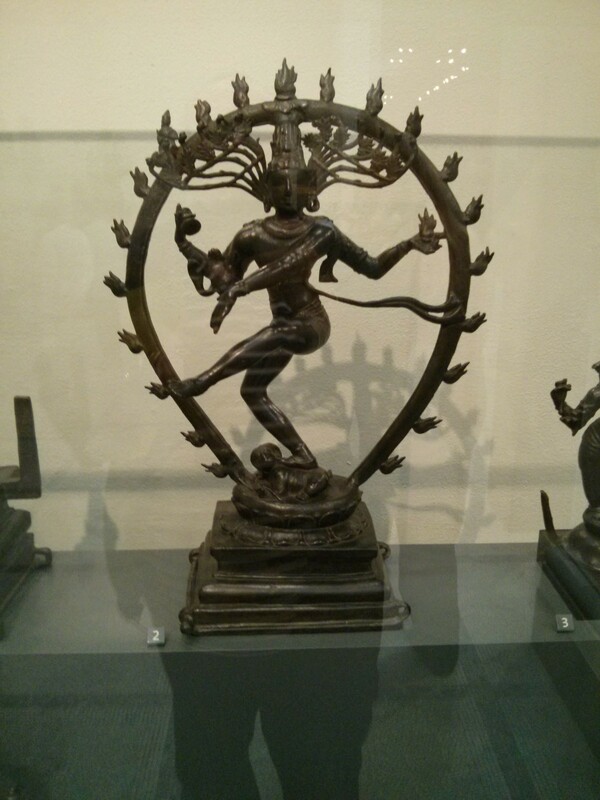 I wrote about the symbolism of the Nataraja in my post Lord Shiva many forms. This earlier Nararaja is from the 8th to 9th century (late Pallava or early Chola period. Again it is from Tamil Nadu, this time from the Tanjavur District. It is made from copper alloy. 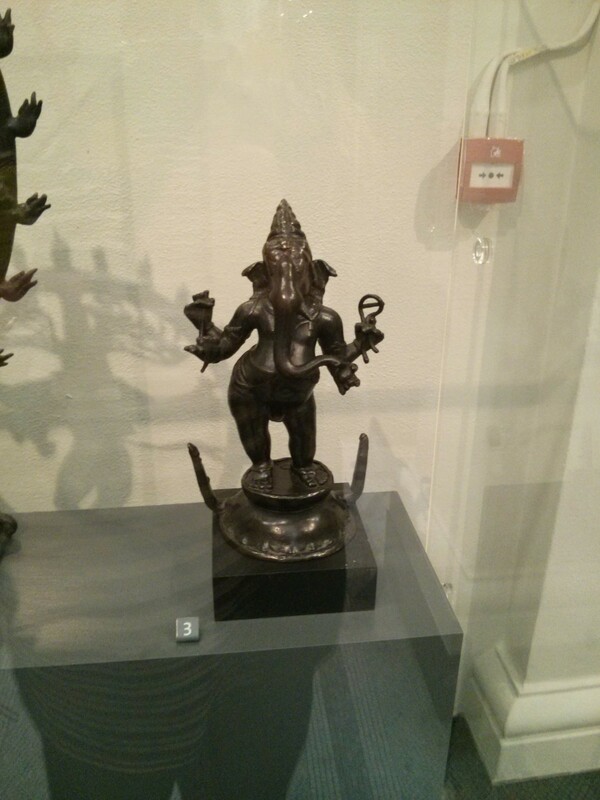 This Ganesha Murti is from Tamil Nadu, made out of copper alloy in the Chola period. 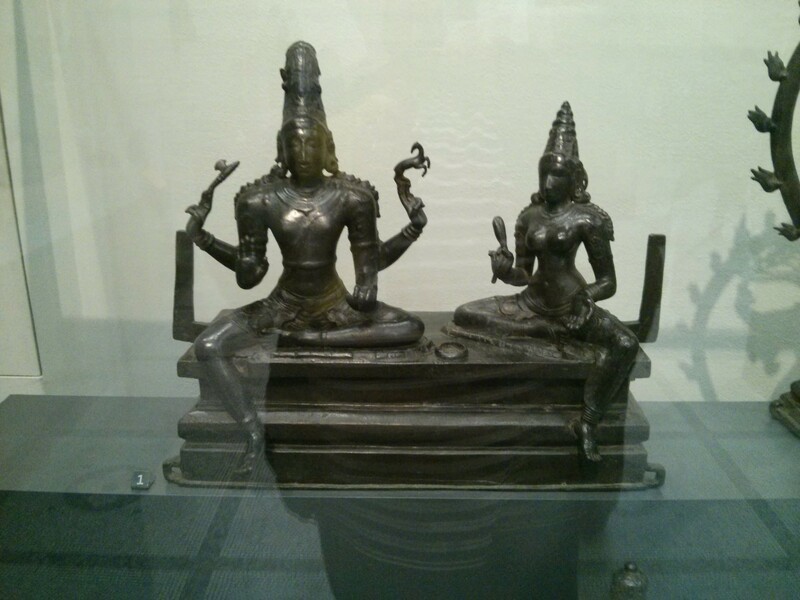 This scene of Shiva and Parvati would originally had an additional figure of Skanda in the middle. Again it is from Tamil Nadu in the Chola period. This is the Vedic sun God Surya, from Bihar. It dates from the 12th century and is carved from black basalt. The description says: “Surya, the Sun God, is represented riding his chariot drawn by seven horses, to be seen issuing from the base mouldings. 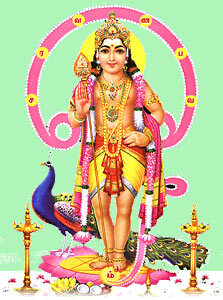 At his feet stands his consort Prabha, and beneath her Surya’s charioteer”. Here is Durga Mahisasuramardini, slayer of the demon Mahisasura. 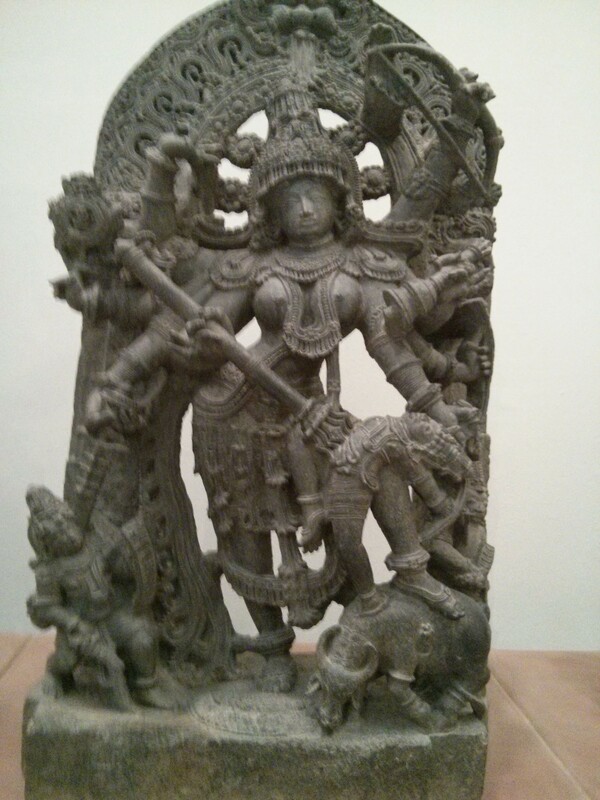 This limestone carving is in the Hoysala style and dates from 1240-1260. It is from the Hassan district, southern Karnataka, in India. 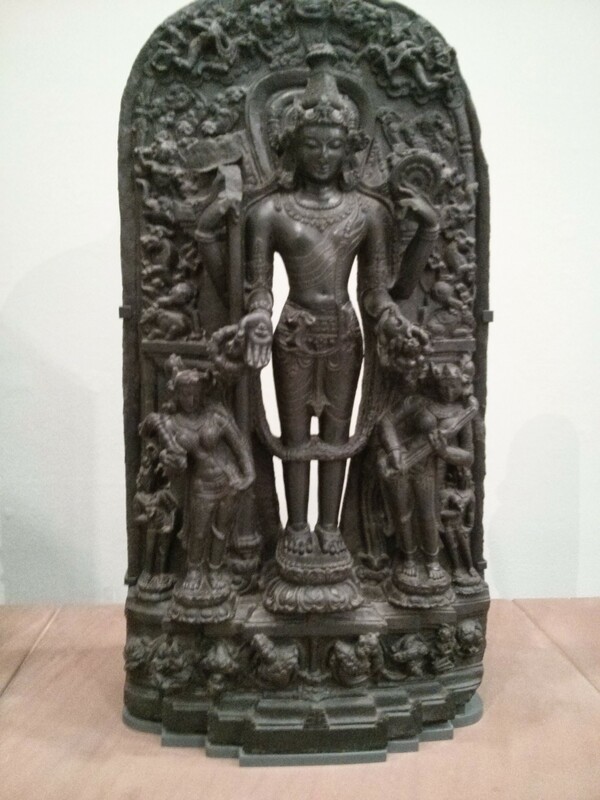 This black shale Vishnu dates from 1100-1200 and originates from the Bengal area, the region now in East India and Bangladesh. Though it is nice to be able to see these deities it somehow feels wrong that they are in a secular museum rather than in a place of devotion. I also suspect that some of them were not obtained entirely honestly. In the days of the British Raj it was thought fine to offer a priest some money for a valuable item in India, when at the same time this would certainly not have been allowed in Westminster Abbey! I was thinking exactly what you said in the last paragraph…I knew you wouldn’t disappoint me. It does feel strange. But at least they are preserved. And I am absolutely sure they were not obtained “cleanly”, but they remain untouched anyway. ” offer a priest some money for a valuable item in India ”. No, no pujari or archaka will sell these vigrahas , he would rather die instead. These are all stolen property, beyond any question. Recently one Mr Kapoor, an Indian American was tried and convicted of stealing the mandir (temple) property and selling from South Asia and far east and selling the same to museums here in the USA. I think last week Australia has returned another hindu deity vigraha to Cambodia as per a court order. Yes, westerners , both museums and private collectors, are encouraging stealing of ancient temple treasures, albeit indirectly. In fact Mr Kapoor, a Naturalized US citizen , was extradited and went thru a trial in a Chennai court, India. The idol belonged to an tamil mandir it seems. The way some countries banned buying/selling all ivory to save elephants, all ancient artifacts must be scrutinized before purchase to thwart this crime. The London museums are full of such stolen ancient treasures from many nations, they will come after the UK in future; already some nations joined hands and formed a task force as i speak. The British(Kohinoor diamond etc), French(Orlov diamond etc), and godless modern day Hindus(also known as communists, atheists, rationalists, pseudo-Hindus,etc.,) are behind all the stealing. Hindus without “Westernized” misconceptions about their culture, traditions, and “religion”, would never do such a thing as selling deities from temples as “artefacts”. Cow urine has been granted US Patents (No. 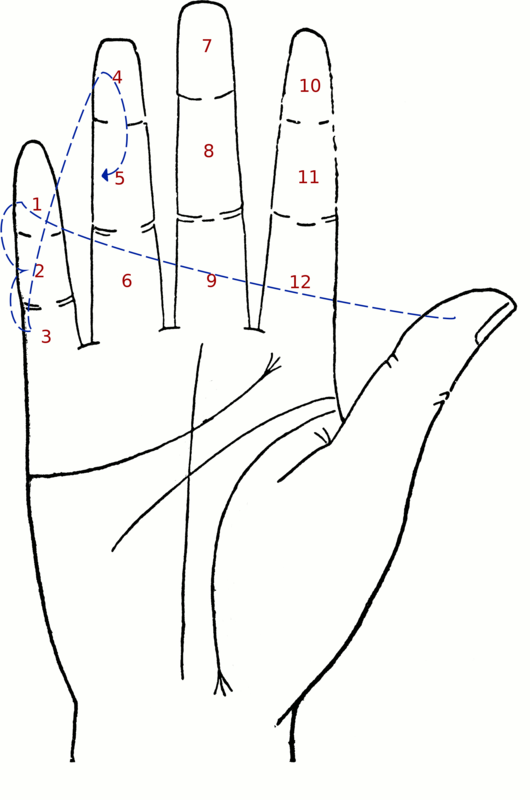 6,896,907 and 6,410,059) for its medicinal properties. 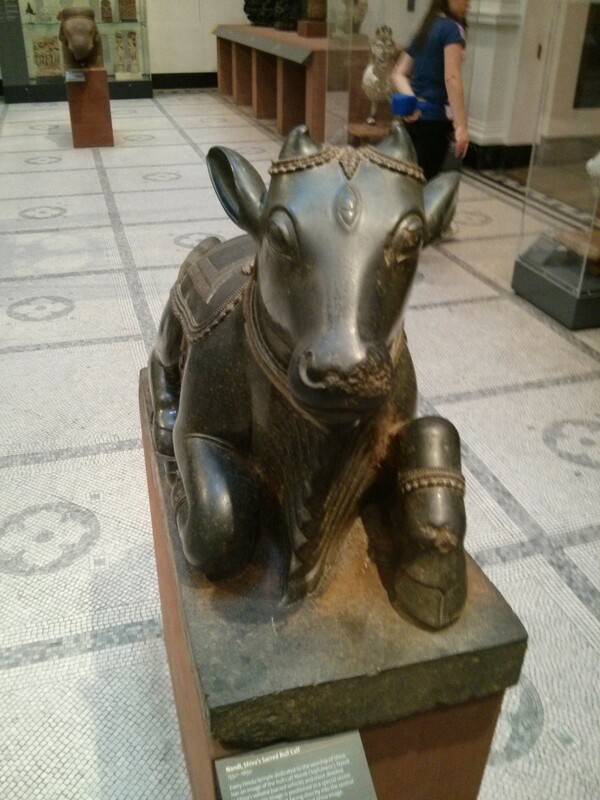 This is the sacred cow we are talking about. Bos Indicus. “Naughty whites” are still doing it. Can’t call them the T word now, can we? That would be “uncivilized”. Does the above text count as “Hate-comment”? If it is, you know what to do. watch this video this would give foreigners some insight into indian culture/hinduism. Wonderful post. It feels like I’ve been there also personally touring the museum. How delicate it is and unique wherein each sculpture serve different purpose and meaning. Amazing story.. its true and sad that what once graced a divine sanctified premises is no longer there..however that must be the will of the God.. Like Lord Krishna said in Gita – whatever happened, happens and will happen is for ultimate good.. In a way, even stolen, these idols helped to show th e Western world the beauty and grace of Hinduism.. for us Hindus, all who are born on Earth are part of “Sanatana Dharma” or eternal religion.. so in a way it doesnt matter where these idols are now, it only matters that they continue to inspire people.. Very well written article. Thanks a lot for writting this article, because of this I have come to know about these dieties in U.K museum. Being myself an indian hindu , was not aware of these. Thanks again for your contribution. From my side i do feel that these dieties should be in the place of devotion instead of tourism. Becuase god is not a mean for entertainment rather he is our eternal being. Any way there are certain things which we can`t change. Lets see what hapens in future. I`m glad to see your ineterst in hinduism. If you like , can i do a guest post for your blog? 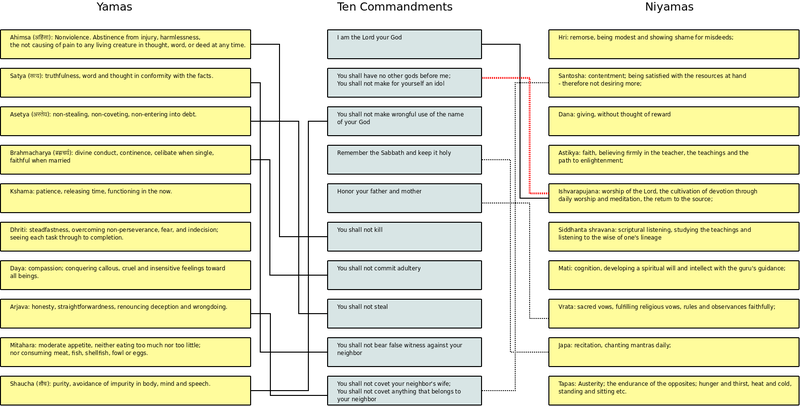 May you and your visitors like my article as that will be based on hinduism only. Thanks again and do reply. Thanks for providing such a valuable information. In this blog https://www.vedicspeech.com/, we write about various articles related to Hindu Mythology and Spirituality. We provide complete Knowledge on Four Vedas and reasons behind different practices followed in Hindu Culture. What our Maharishis and Sadhgurus said to us for better living and enlightenment of souls for attaining Moksha and Real freedom.